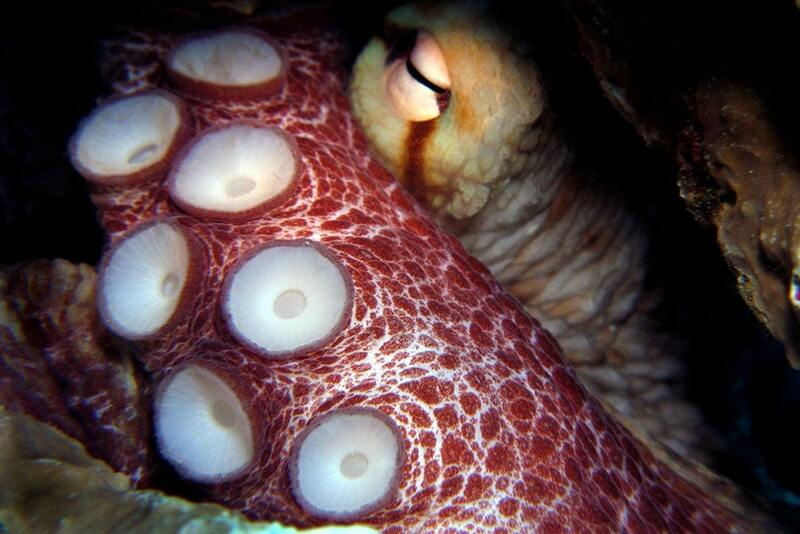 Octopus art underwater photograph of a hidden octopus I found hiding on the coral reef. Check out the huge suckers and wary eye. 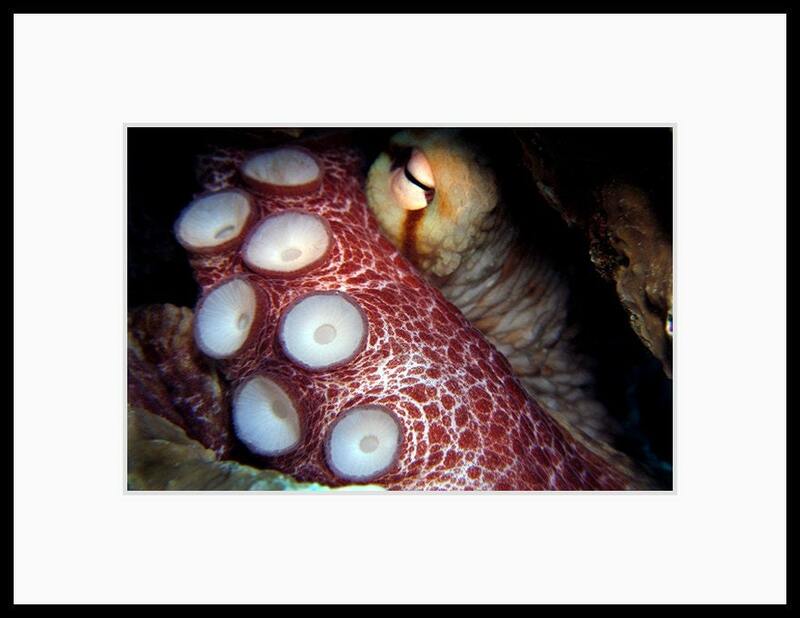 I photographed this octopus while diving off of the island of Bonaire in the Caribbean. Distinctive, prompt, & affordable--thank you!